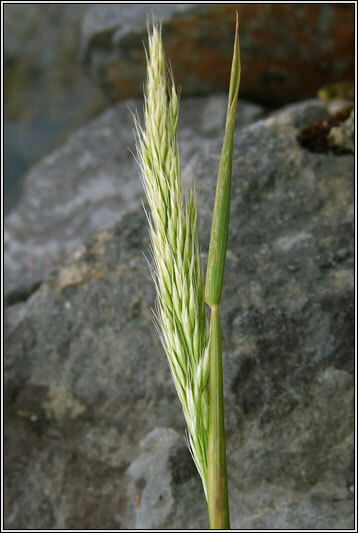 Loose, spreading flowerheads with shiny, yellowish spikelets. 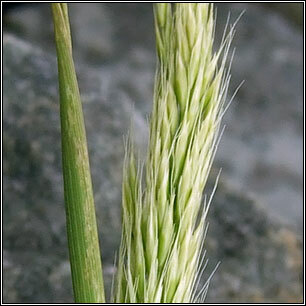 The lemmas have pointed tips ending in two teeth with bent awns. 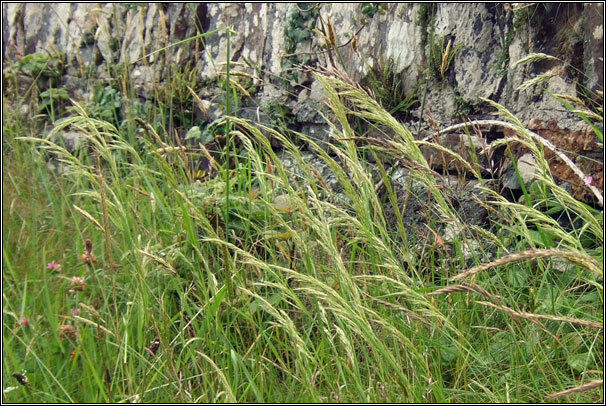 Tufts of soft, flat leaves with hairy upper surfaces and collar-like ligules. Height 30-60cm. 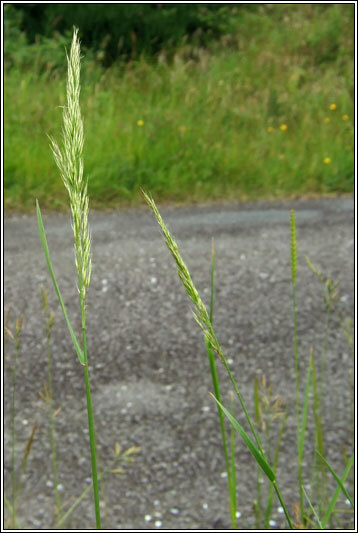 Found in well-drained neutral and calcareous grasslands and old hay meadows, on banks and roadsides.